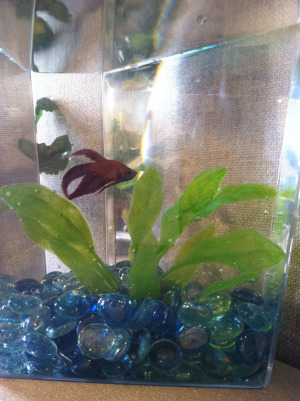 Meet Woodward, The Inlander's official newsroom fish. He's an Inlander-red betta fish, and from what we can tell, he's got a lot of moxie — a compassionate patrician like Lord Grantham from Downton Abbey, mixed with a little Liberace zazzle. We're still getting to know him, but we agreed to adopt him if he throws out a Tweet here and there for us.